Bill 30 – WCB Changes | Bill 30 – WCB Changes – All Safe HSE Protecting Staff, Environment, Property and Investments. Employers now have an obligation to return their employees who suffered injuries and illnesses in their workplaces to work, unless it imposes an undue hardship. This obligation does not remove a worker’s rights under the Alberta Human Rights Act around accommodation. Following other jurisdictions in Canada, the changes to the Act will enshrine the obligation of an employer to return employees to work. WCB would be responsible for addressing concerns about return to work. 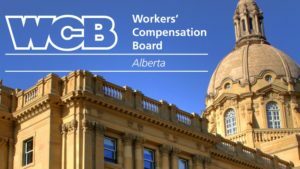 “Deeming” is a process where the WCB reduces a worker’s benefits by identifying a job it believes the worker could be doing and the level of income that the worker could be earning from the job. In the past, “deeming” resulted in some workers not receiving the level of benefits they should have received based on a fair evaluation of their experience, skills and training. Injured workers will have more choice in selecting a physician if they needed a medical examination. This would give injured workers the ability to better manage their own health care. Injured workers would be able to initiate the medical panel process. Health professionals other than physicians would be able to participate as advisors to the medical panels. For assistance in preparing for the changes, contact us for more information.